Bike Fit Studio provides you with bike fitters that don’t just have experience and passion for cycling. They are continuously studying to earn new qualifications that improve your experience when you book with Bike Fit Studio. Our fitters have the experience of over 1,100 bike fits to draw from when finding your perfect bike fit — so no challenge is too great. Your bike fit is real cycling experience matched with real bike fitting experience. Our fitters are the only Level 3 Advanced Retül Bike Fitters in Ireland. Along with Level 1.5 Cycling Ireland Coaching qualifications, biomechanics diplomas, and multiple additional bike fit specific qualifications. Experienced bike fitting is made even better by accomplished cyclists. Our bike fitters have a long palmares across international racing, and in multiple disciplines — giving you experienced advice during your bike fit. Here are some of the standout accomplishments from the long palmares our fitters have here at Bike Fit Studio. A growing list of areas where our bike fitters are qualified and educated, improving their bike fit knowledge. 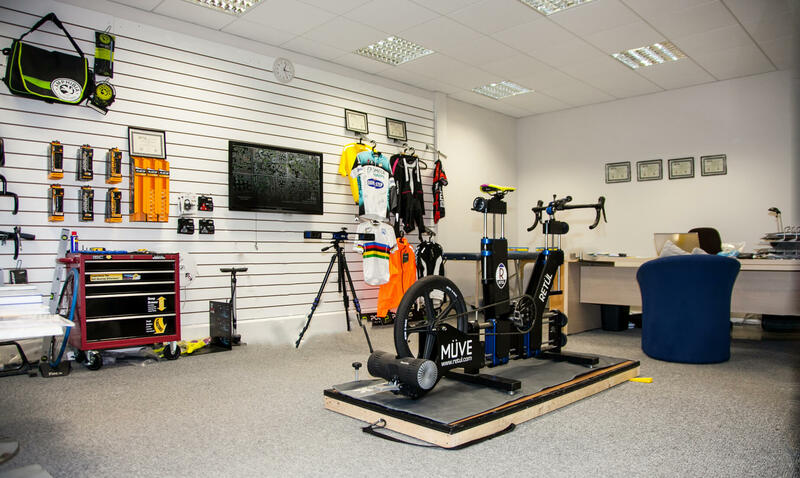 Since starting in Dublin in 2013, Bike Fit Studio has carried out over 1,100 bike fits with cyclists from all over Ireland, and in multiple cycling disciplines. Here at our studio in North Dublin, and in pop-up locations across Ireland — our bike fitting has improved performance and comfort forracing cyclists, sportive riders, triathletes, mountain bikers, adventure racers, track cyclists, and TT specialists. This multi-discipline experience, as well as being the only Level 3 Advanced Retül Bike Fitters in Ireland is why we Bike Fit Studio is the official bike fit partner to Cycling Ireland, the national cycling federation. We understand your needs as an individual cyclist. We consult with you regarding your experience, anatomy, and biomechanical ability. Based on this, we use advanced Retül technology to generate real time data that helps us to provide you with a bike fit that maximises your comfort, reduces pain, and improves performance.